I had a pretty good idea of strategies for content marketing before I joined the team at Curexe due to my past experience as an eCommerce store owner and scaling a juice company from 1 store to 60+ and an international expansion. I watched plenty of Backlinko and Neil Patel videos on Youtube and read stuff like CopyBlogger, Single Grain, Conversion XL, etc. along with dozens of podcasts about digital marketing to keep myself constantly up to date with strategies thought leaders were using. 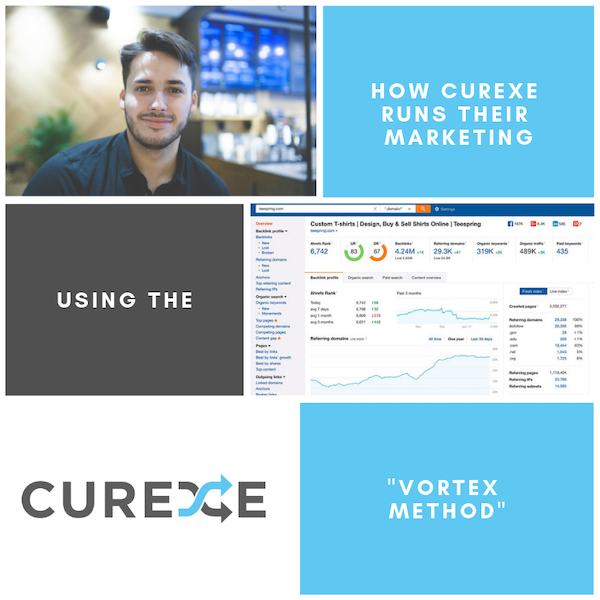 But what my mentor Rokham Fard showed me during a strategy session one day really got my gears turning and helped me set up a scalable framework for the marketing team Curexe. He explained that there is a framework to find a topic for your blog that makes your audience engrossed, a promotion strategy to get media outlets to spread the word about your post, along with maximizing the reach of your social media messages so that everyone sees your new post and makes it a hit. What I learned from that one strategy session landed me on the first result on Google and got me press mentions from Investing.com, a really big outlet in our space. From there I never looked at content marketing the same, instead I wanted to keep replicating the framework Rokham showed me to see if I could get more growth! 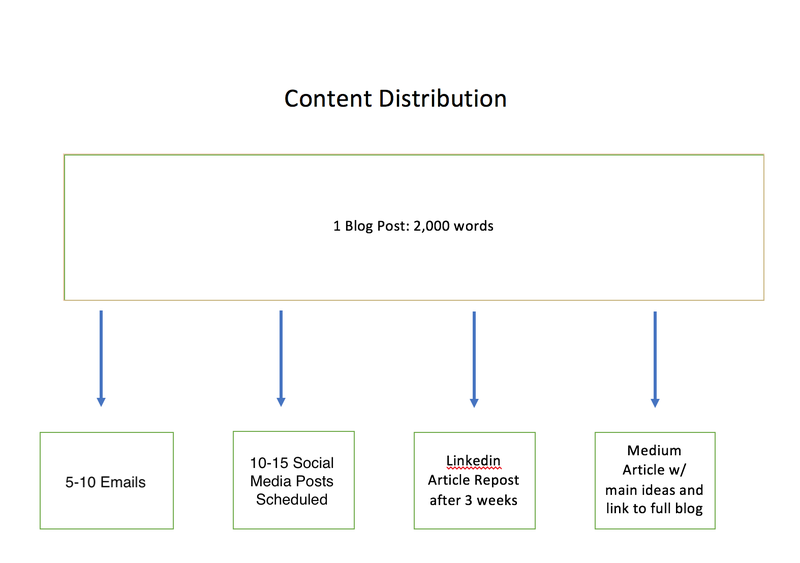 In a nutshell this is the sequential order of how we run our marketing campaigns around a single blog post as the main content piece. Just a bit of background on Rokham, he scaled one of the biggest real estate tech companies in Canada at The Red Pin bringing them from the founding team to 170 employees in four years. A lot of Rokham's success at The Red Pin was due to his efforts to generate traffic and leads from content marketing. His new company Psychology Compass is a platform used to increase cognition and mental performance, also heavily content marketing based to generate sales and traffic, all in all he’s someone you definitely want to listen to about this topic. So without further ado, how do you even pick what to write about? 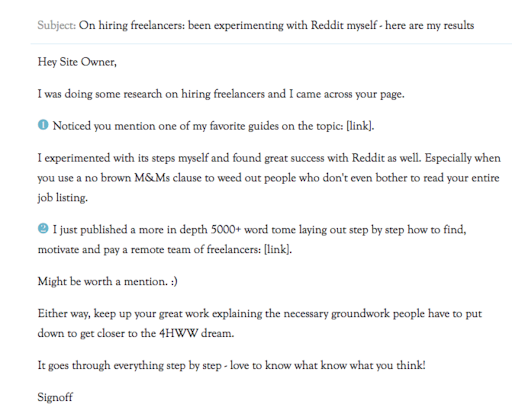 When Rokham told me about his first successful hit blog post, he told me about how to go about topic identification. It’s important to get this right when the goal is to generate enough interest for press mentions and backlinks. The Red Pin was an online brokerage trying to mend the broken real estate agent to buyer paradigm, trying to get potential buyers to have The Red Pin be top of mind when selling their home. Rokham’s content piece that started the Vortex Method was about selling prices of properties in Toronto based on the month it was sold in. He took data from the MLS dating years back to see if there was a trend in higher selling prices during specific months. What he found was that when you sell your home in January, the seller pockets an extra $20,000. According to the MLS data, during the slow season of selling homes in the winter, buyers were desperate enough to close on a house immediately in January and were willing to pay a premium. The data showed that the average selling price for homes were higher in January than any other month. 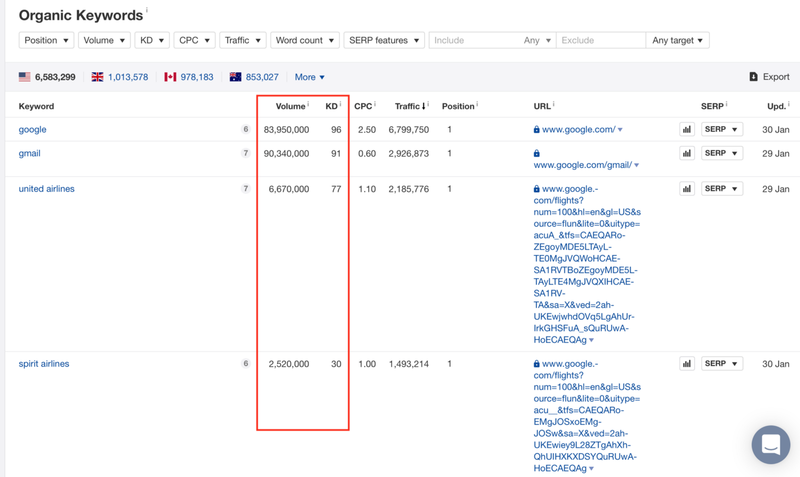 These findings were a hit in the community as he got featured in multiple press releases from big time Toronto publications including the Toronto Star, started driving a massive amount of organic traffic to his page which were leads and new sales. All without any paid advertising! The goal is to generate interest from influencers who have a large reach on your customers. If you write specifically content made for your customer, you get the readers either uninterested because the problems don’t relate to them or you get readers educating themselves by deeper evaluating the pains they have and why your solution is a good decision for them. This type of content has it’s place in a marketing strategy, as it could qualify your customers before your sales team even speaks to them but it’s not content that’s meant for mass promotion. Think about how the purpose of the post is to generate interest with the influencers in your niche, not necessarily your actual customers. How do you appeal to these people when writing in your niche? Everyone knows that statistics from reputable sources boosts credibility of any statement. What makes a post even more interesting is if you run an experiment. Generate interest from the influencers with insights they haven’t seen before. Make reaching out to contacts for promotion easier because your post is unique and outreach doesn’t come off as salesy because your post isn’t self promotional. Choose topics by thinking about a pain point. List 3-5 pain points and for the sake of moving through this process in an efficient manner, don’t spend too much time coming up with the experiment just yet. All that is important right now is that you have general topics to consider. Let’s be clear about how this experiment works. It has to have a large amount of research from authoritative sources. If you do _____ then ________ will happen. We analyzed 10 years of selling prices of homes from the MLS and found if you sell your home in January then you will make an extra $20,000 on the sale. We analyzed 30 years of historical exchange rate data from Investing.com and found if a business’s exchange of CAD to USD happens on the first day of the month then they will save $13,000 a year. Now if you say that to a person of interest, chances are they are going to be really curious about your findings and want to read more. Now that you have 3–5 topics and an experiment you can run for each one, it’s time to run some tests to determine which topic has the best potential. 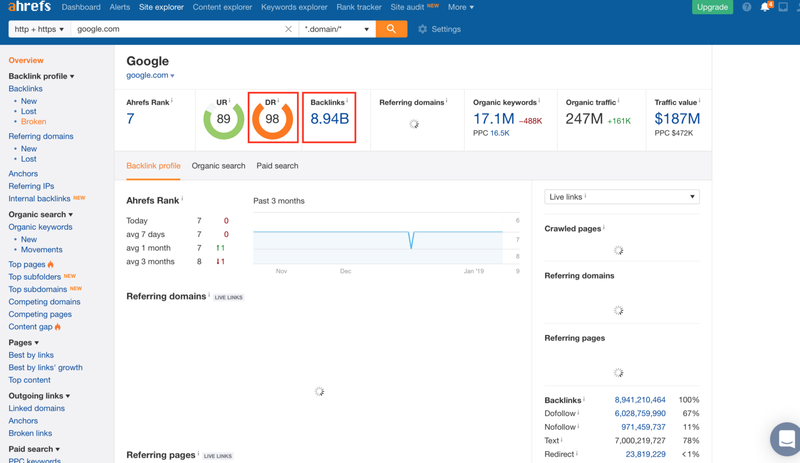 Typically I use a tool call ahrefs, and open up the keyword explorer and type in my keywords around one topic. If there is a search volume of a couple thousand monthly, this is a very good sign as it shows there is interest in your topic. If there are only 100–200 searches a month around your main keywords, chances are even if your post is a knockout, it won’t generate much traffic organically. Open up Google typing in related queries to a topic. Take the top 5 position's URL and plug them into the search bar on ahrefs. If the DR is a number number in the upper 70s and a couple hundred backlinks, you might have trouble surpassing that position unless you can replicate the same amount of success with your post. On a scale of 0–100 Keyword Difficulty measures how difficult it is to rank for a phrase. 0 being easy and 100 being super competitive. It’s important because this data will give you an idea of how realistic it will be for you to reach a top search engine ranking position as you generate backlinks for your article. Rule of thumb is 30 and under is realistic when your own domain authority is lower. Now that you have some stats on the feasibility of ranking for each keyword, go back to Google and type in your main keywords for each topic once more. Open up an excel file and gather all the contact information for the possible link opportunities. Yes you are “competing” with some of these posts in terms of ranking but keep in mind if your case study is valuable with new findings, your content will be unique and a value add on to their post. For each website you visit, grab the email and drop it in your excel file using a tool like the Hunter.io extension. Once you have your promotion contacts for each topic, you can decide on which topic to go with based on how hard it is to rank (given your search engine stats), average search volume of related keywords and which topic has the most people in the promotion list. Short Tail Keywords can be too broad and hard to compete on. “Digital Marketing” is an example. Yes, there is a lot of search volume for that phrase but when you use a tool like ahrefs you’ll see that the phrase is super competitive. Long tail keywords are specific and not as competitive but don’t have enough search volume. And since the Google algorithm updates like Panda and Penguin, long tail keywords aren’t as effective for boosting your search engine traffic. Easier to rank for (Keyword difficulty of 30 or lower) and has a relatively high search volume (500 searches a month or more). These are keywords that you can include in the language of your post, don’t worry about stuffing your piece to the brim though. Google Rankbrain was an update that enables a post to rank for thousands of variations of keywords based on the topic of your post. To put it simply, the low hanging fruit method helps you identify the opportunities of keywords with the highest upside potential and the least competition to retain the sought after #1 ranking position. Sort for these keywords in the keyword explorer by showing only matches with a KD of 0–30 and a search volume of at least 500. We have the post all written up, it’s ready to launch, we know who we want to promote too specifically so we can get press mentions and backlinks. Now we also have ammunition for social media posts and email sequences! Time to start crafting the messaging. Use a social media scheduling tool to schedule out the bite sized tips to be posted every other day. Since Twitter has a character limit we will make these tweets smaller. Facebook and Linkedin have different character limits, meaning the messages will be slightly different but with the same content fitting the specific social network we are active on. Now that you’ve broken up your blog post into multiple content formats and have scheduled the posts on your social media scheduler, it’s time to set up your lead nurturing funnel. Take your blog post and shave it down into a series of emails with actionable insights. With the first Vortex style post you should have enough email firepower for 5–10 weeks at 1 email a week. In each post afterwards you keep adding on, and 3 posts later you should have enough emails in your nurturing funnel for the better part of a year when someone opts in moving forward. 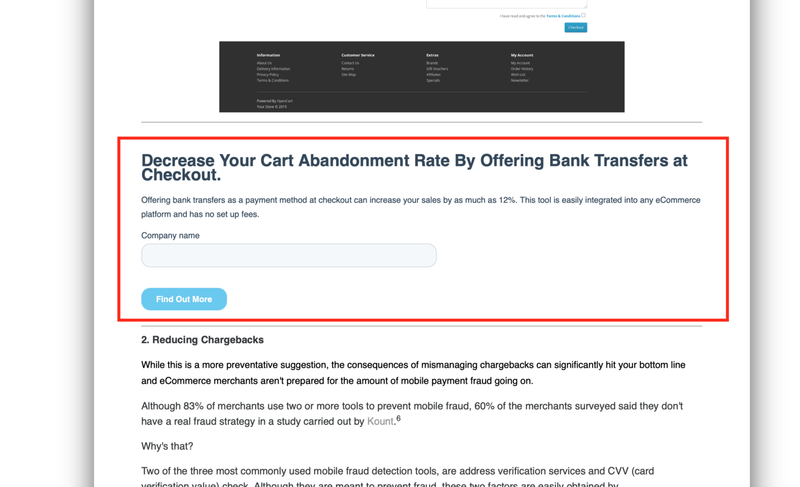 Be sure to highlight the opt in throughout your blog post, eventually you can start adding other assets that accompany the opt in like a guidebook, white paper, case study to incentivize signups. There are some general dos and don’t for email outreach. It’s important to get the messaging right if you want your outreach to be well received. Best practices are to be sincere, don’t come off desperate or demanding, provide actual value first before asking, be specific with exactly where the link should be placed, don’t be scared to draft up a paragraph for them including your link to make it easier on them, and only ask for mentions when your link would add value to the post. 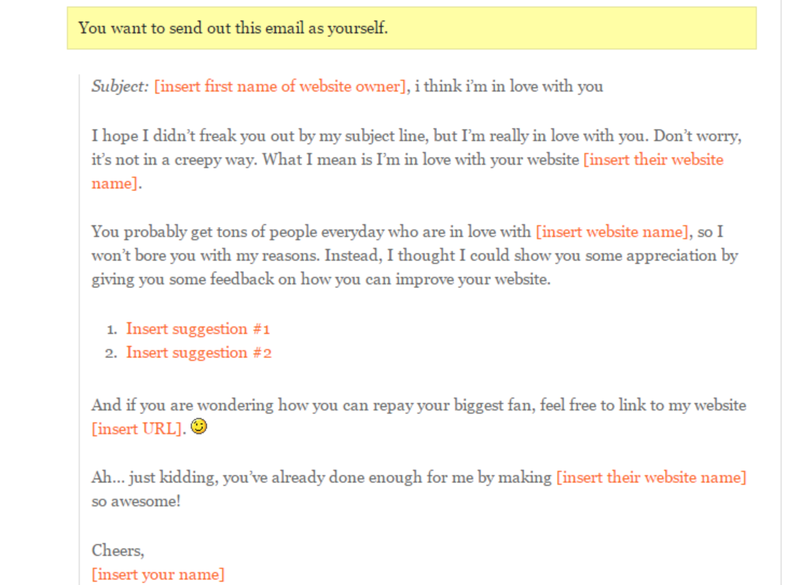 According to a blog post by ahrefs, here are some guidelines for email outreach. Please link to me too. [Name], are you interested in partnering up? Your article is missing something! I recently came across your article, [TITLE], and loved it. It’s a great resource for [AUDIENCE] about [TOPIC], which also made it a great fit for [COMPANY’S] social channels. I’ve shared it on [COMPANY’S] [Twitter?] and [Facebook?] accounts (fill in the blank with your networks, and linkto the post if you actually shared it. Don’t lie.). Hey there, I read your post on [blog title] earlier today. Really great stuff! I noticed you were talking about weekdays being the best time to exchange currency. I actually have a post that took 10 years worth of exchange rate data to determine the best days of the week to exchange in various scenarios. I think this would be a great additional information source to link out too under your first point. Systematically go through your list and connect with them on social media channels, like and comment 10–12 of their most recent posts, or even share their articles. By engaging with them prior to your email outreach you are much more likely to have a positive response since they will be more aware of who you are. To summarize, The Vortex Method is a way for you to write you blog post, generate massive interest, turn the dial to 100 in terms of promotion and activity on your social channels, drive users into an opt in sequence and pulled into your “vortex” of marketing messaging. This article was detailed but brief in terms of explaining each section, if you have any questions on the specifics of each section I’d be more than happy to clarify. Feel free to ask me about it in the comments.